Cardiac surgery was the inaugural project focus and with over twenty five years of experience, it is no surprise that a large portion of our projects are cardiac based. 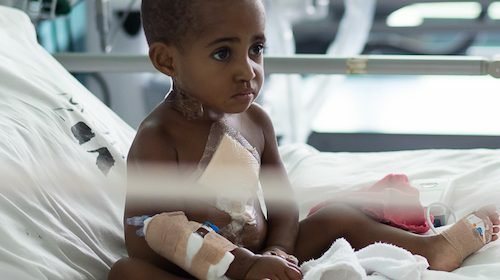 Often the countries we visit have little or no access to cardiac surgery, meaning that Open Heart International is the only chance for patients to receive life saving treatment. Broadly speaking there are three areas of cardiac disease we are focused on treating – congenital heart defects, rheumatic heart disease, and coronary artery disease. There is additional information on these diseases below. Regardless of the condition, in Australia a patient would receive diagnosis, monitoring, treatment and if required, surgery. Those families facing the same issue in the countries we work, rely on the expertise of Open Heart International who in addition to providing treatment, also provide training for in-country medical staff. The average cost to provide life-saving surgery for one patient is $3,500. Open Heart International is currently implementing projects in Bolivia,Cambodia, Fiji, Myanmar, Papua New Guinea, East Africa, (Rwanda and Tanzania),andTonga. A congenital heart defect occurs at birth where the structure of the heart does not completely develop. There are many types of congenital heart defects. Approximately nine in every 1000 babies will have a defect of some type. These defects are usually treatable at an early age with surgery and are regularly diagnosed in advanced and developed countries. However, due to the highly specialised nature of cardiac medicine, developing countries are often unable to diagnose or treat these conditions. Left untreated, these defects will obstruct the natural development of a child, often leaving them susceptible to other illnesses, resulting in a diminished quality of life and decreased life expectancy. Rheumatic Heart Disease is caused by rheumatic fever, which is an inflammatory disease that can develop after an infection, and can affect the heart, joints, skin and brain. The fever can leave irreversible scarring and permanent damage to the heart. Left untreated, the heart will suffer under the damage caused, and heart failure is inevitable. 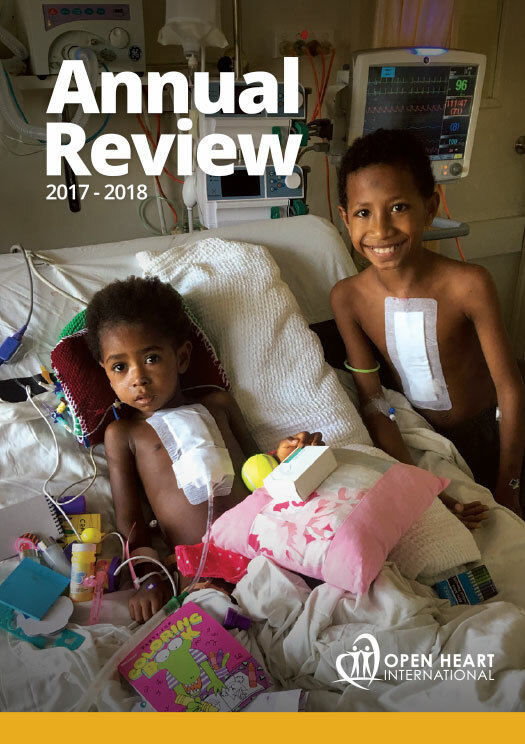 Rheumatic heart disease is found worldwide, predominantly in tropical and warmer climates, and particularly in developing countries where basic infections and sickness often go untreated. Coronary Artery Disease is a narrowing of the small blood vessels that supply blood and oxygen to the heart. This narrowing is caused by a buildup of plaque in the arteries, sometimes referred to as hardening of the arteries. As a result of the buildup and narrowing of the arteries, blood flow to the heart is slowed or in extreme cases completely blocked leading to heart failure or cardiac arrest. According to the World Health Organisation, over 80% of the world’s deaths from cardiovascular disease occur in low and middle income countries. People in developing countries are more exposed to risk factors, while at the same time they often do not have the benefit of prevention programs, or access to effective and equal health services as higher income countries. Coronary bypass surgery is performed in an effort to open or bypass vessels that have become so narrow that they are unable to supply sufficient oxygen to the heart.